Just like the People Power Revolution31 years ago, the Liberal Party of Vice President Leni Robredo tries to attract government leaders, church patrons, and civilians to protest against President Du30 using alleged human rights violations particularly the Davao Death Squad and Extra-Judicial killings. 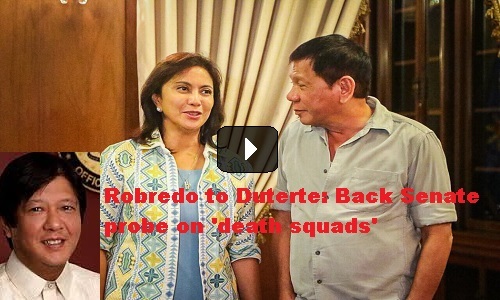 Robredo’s challenge to the president to back the senate probe to investigate death squads if he is not involved with it is LP’s way of showing their authority undermining the rule of law in a democratic system of government. The late president Corazon Aquino is even labeled as an icon for democracy when she is the real dictator. [VIDEO]: Lumutang ang isang retiradong pulis na dating lider umano ng “Davao Death Squad,” at iniugnay ang noon ay Davao City Mayor Rodrigo Duterte sa operasyon ng vigilante group. Vice President Leni Robredo urges the President to support the revival of a Senate investigation into the alleged “death squads.” His allies allegedly oppose it. Retired policeman Arturo Lascañas’ claims that Du30 directs hitmen against drug suspects and political opponents in Davao City. This is when he is still the city’s mayor. It is a “matter of great alarm and concern,” said Robredo. Former President Noynoy Aquino speaks during the EDSA commemoration that also serves as a symbolic protest against Du30. He criticizes the president’s war on drugs, extra-judicial killings, and other alleged humanitarian violations. He sounds as if Du30 is the culprit. The accusations flow without the due process of law. The Freedom rally a few miles away, pro-Duterte supporters listen to Christian songs and testimonies of former addicts. The protest counteracts accusations on drug-related deaths presumed as sanctioned by the administration as per its political enemies. This happens a day after the arrest of one of the most vocal critics, Senator Leila de Lima of his anti-drug campaign. Robredo and co-Liberal Party members condemn this despite the long process in court before her arrest. EDSA should serve as a reminder that people must practice real democracy. That means, one is considered innocent until proven guilty. There should be no gathering accusing any government of human rights violations if not found guilty by the court of law. Robredo and her peers should master these things as a human rights lawyer. At least, she can learn more before the decision on the electoral protest filed by Bongbong Marcos against her. 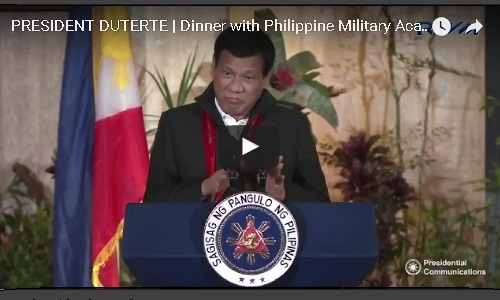 The loyalty of the military to the administration is vital in the leadership of the President as he expresses during the Philippine Military Academy or PMA alumni homecoming recently. The president said that he needs the military in leading the county. Not for social control but for the protection of the citizens from the lawless, the reckless, and the selfish people of society. This is contrary to the Davao Death Squad or DDS drama in the senate probe. Those rumors are not new in Davao but none of that matters because the people know that the scare is the President’s way of protecting his constituents. Persistent fears are created by the president’s critics that his strong-handed actions are a prequel to the declaration of martial law. The president is quoted as saying that he won’t hesitate to proclaim martial law if needed. Armed Forces chief General Eduardo Año clarifies this by saying that there is no situation that warrants the declaration of martial law. The military is in full control. Martial Law is feasible only when there is destabilization as per the constitution. Upon his inauguration, the president sees to it that he visits camps nationwide. These are his means to boost the troops’ morale. It is also possible to enlist military support for his war against illegal drugs. Año also denies a possible coup against Duterte. He assures that the whole armed forces are solid behind the President up to this moment. 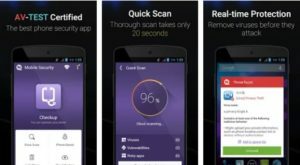 Their focus is to eliminate all internal threats. The president discusses the need to continue his war on drugs. The influence of the foreign terrorist organization Islamic State (ISIS) in the country must also be contained. The ultimate purpose of these operations is to instill peace and order for the general public. Somehow, ISIS finds its way into the country but the administration devotes all available assets and resources to secure Mindanao. Duterte ordered the “cleansing” of the Philippine National Police and said he was extending the war on drugs to the last day of his term. Año said he has ordered the troops to intensify operations against local terrorist groups. “As soon as possible, we should reduce or eliminate the Abu Sayyaf,” he said. If DDS can handle these threats, then let it be – as per the attitude of the Filipino majority.